What's inside the JXQ-10A Gas Producer? Does anyone know for sure what's in there for sure? I just bought one of these and googled around for information. One source had some pictures taken from patent papers. The filter box in my machine isn't anywhere close to the drawing internally. I have disassembled mine as far as I can go without cutting into it and I now have a fair idea about its inerds, but I can't see into the center section. 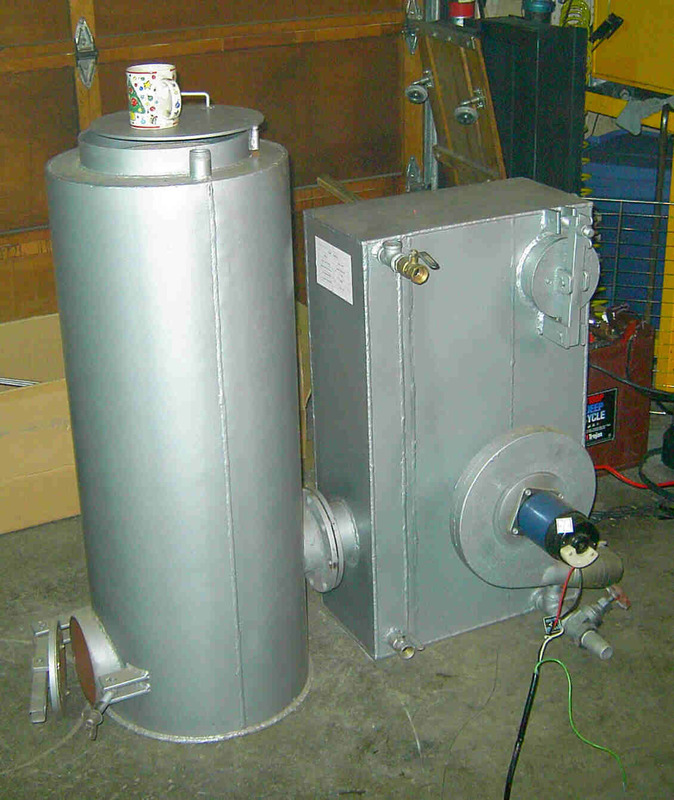 So far I have produced rough CAD drawings of the gasifier and filter. I'm glad I did, because I now understand it better, I think. I did all this because the operating instructions were unclear to me. I figured that, if I knew how it worked, the maybe I could interpret the instructions better. There's no intention on my part to duplicate the machine. Once I do get it running, I'll probably put up a webpage http://www.spaco.org/JXQ10A.htm about it so others can get the info.